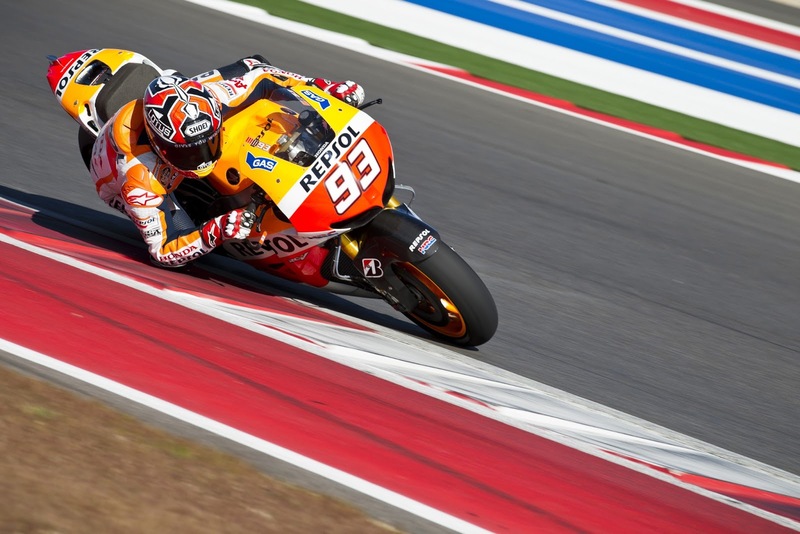 The Repsol Honda Team have finished day one of testing at Austin’s Circuit of the America’s on top. Also present at the private test is LCR factory supported Honda rider Stefan Bradl and Yamaha’s MotoGP team of Jorge Lorenzo and Valentino Rossi. All riders spent the first day of the test learning the circuit, which MotoGP will race at for the first time on 21 April. The test continues tomorrow, times after the jump.